A solarium (otherwise known as a sunbed, sunlamp or tanning booth) uses electricity to produce concentrated artificial ultraviolet (UV) radiation. Users either lie down on a UV bed, stand in front of a panel or angle a sun lamp over their skin. These indoor tanning beds are said to deliver between 10 to 15 times more ultraviolet radiation than the midday sun and according to the American Academy of Dermatology, people who use indoor tanning equipment face a 59 percent higher risk of melanoma than those who do not. In Australia, commercial solariums were banned in all states and territories except Western Australia starting January 1, 2015. According to Health Minister Kim Hames , the commercial sunbeds ban in Western Australia will come into effect on 1 January 2016. While the ban is already in full effect for most of Australia, the United States Food and Drug Administration stated that about 1.6 million U.S. teenagers tan indoors each year at more than 33,000 tanning salons, gyms, spas and other facilities that offer sun lamps and tanning beds. A report from the New York Times stated that tanning beds account for as many as 400,000 cases of skin cancer in the United States each year, including 6,000 cases of melanoma, the deadliest form. 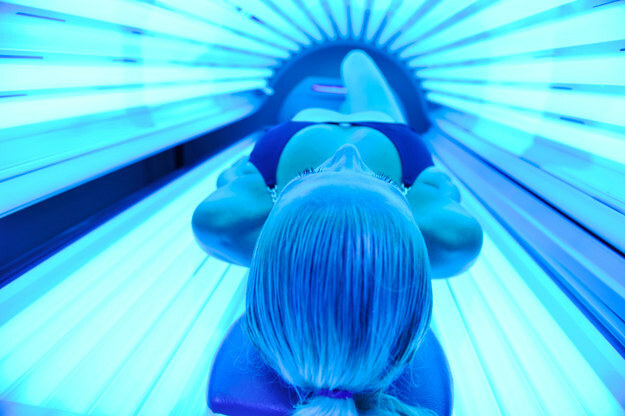 As part of an ongoing government effort to reduce skin cancers linked to the devices, the FDA proposed barring everyone under 18 from using the use of sunlamp products (also commonly known as indoor tanning beds) on December 18, 2015. In addition, before their first tanning session and every six months thereafter, adult users over age 18 would have to sign a risk acknowledgement certification that states that they have been informed of the risks to health that may result from use of sunlamp products. A second proposal from the agency would require manufacturers of tanning equipment to make additional changes to their machines, including: bolder, easier-to-read warnings and mandating an emergency shut off switch. The proposed rules are available online at www.regulations.gov for public comment for 90 days. To read the full FDA announcement, click here. Black Salve or Cansema : Medieval Quackery? Brisbane specialist in the early detection and treatment of skin cancer and sunspots. Dedicated PDT Clinic with over 10 years experience.